Louvre Vent Flyscreen 6" x 3"
Surface mounted with flyscreen. Size is the maximum opening the vent will cover. 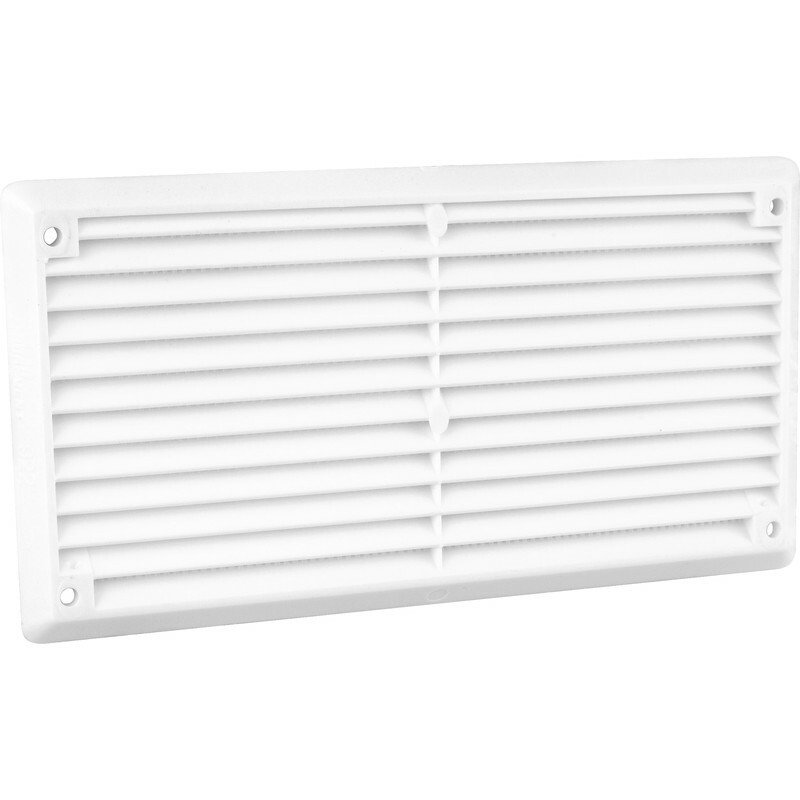 Louvre Vent Flyscreen 6" x 3" is rated 4.8 out of 5 by 24. Rated 5 out of 5 by Mike456 from Just what I wanted A pair made an excellent vent in a door. No fixing screws, but I needed very short ones for a thin door surface anyway. The fly screen cannot be removed. Rated 5 out of 5 by tqriviera from Quality for a very reasonable price These are needed to put over outside grills that are failing and allowing squirrel ingress. They are just perfect and will surely stop the little !!!. Rated 5 out of 5 by Jallallabab from Brilliant for 100x50 ducting Just the job for 100x50 ducting. great value.